A French expression which means “in the open air” and is particularly used to describe the act of painting outdoors, which is also called peinture sur le motif (“painting on the ground”) in French. 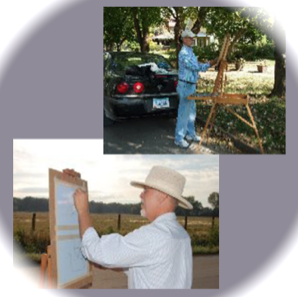 The public is invited to join the Iowa Pastel Society artists as they do “plein air” painting at various Maquoketa sites. Bring your canvas, paints and easel to paint along side of these accomplished artists!